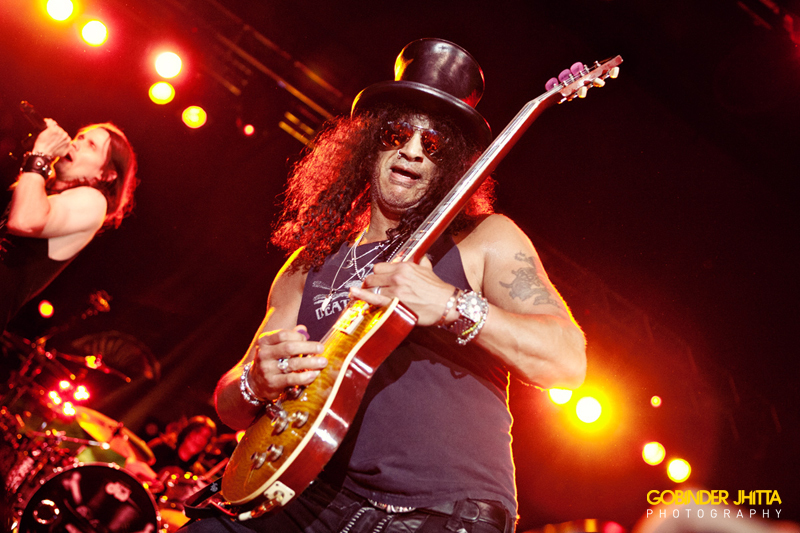 In May 2012 SLASH stormed the charts worldwide with the release of his second solo album, APOCALYPTIC LOVE. Registering a No 4 chart entry in the USA and No 2 in Canada, Slash replicated this success in both Europe and Australasia with a further 13 Top 10 chart entries. Testament to a unique artist who has produced an incredible album. In the UK, the album was also released in an exclusive Classic Rock Fan Pack form – providing a unique collectable package containing the studio album with bonus tracks alongside a specially created magazine with unseen behind-the-scenes content put together by Classic Rock magazine. APOCALYPTIC LOVE followed his 2010 debut album Slash (also released in Fan Pack format and which has now sold over 100,000 copies in the UK alone) and his November2011 first-ever live solo album, the two-CD/DVD set Made In Stoke 24/7/11. Tickets go onsale at 9am GMT Friday 3rd August 2012 priced at £32.00 REGIONAL / £35.00 LONDON (subject to booking fee) and will be available from Live Nation or Ticket Master.